​Dr. 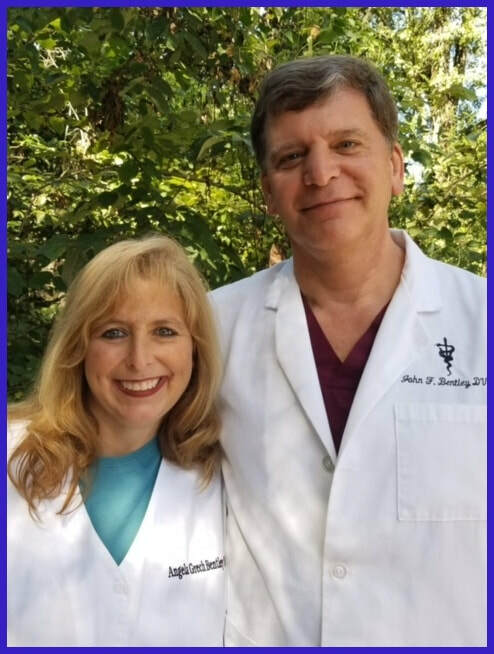 John Bentley graduated from Auburn University College of Veterinary Medicine in 1984. Upon completion of his veterinary degree, Dr. Bentley earned an advanced degree in veterinary surgery and went on to teach this topic at the veterinary school at Auburn. Dr. Angela Bentley graduated from Auburn University College of Veterinary Medicine in 1991. They purchased Loop Veterinary Hospital together in 1993 and opened Bel Air Animal Hospital in 1997. ​They have been married for over twenty five years and have five beautiful children. Their home stays full of rescues in addition to their personal pets.